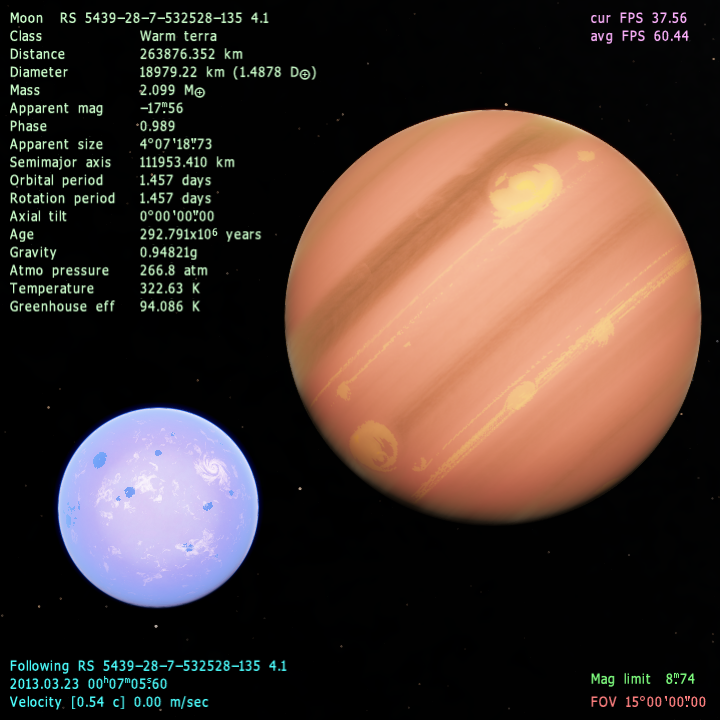 I've decided to resurrect some old Talisman-style challenges to add some fun back to the forum There are an abundance of ongoing challenges for finding the biggest stars/planet types/etc. already so this will be a different type of challenge. At 0:00 UTC on Saturday 23 March I will announce the name of a galaxy, and then you will have one week to find the nicest terra planet you can find in that galaxy. You must make your submission by 23:59 UTC on Friday 29 March. Your submission must contain the location code of the planet and two screenshots of it. One screenshot must show the planet from space. The other screenshot can be from whatever perspective you like. You may only submit one planet. If you would like to change your submission after you have made it, simply submit a new planet in the same manner as the first one and state that you want to use the new one instead. The winner of the challenge will be chosen by popular vote. As soon as the submission period ends, the voting period will begin. The voting period will last for exactly 3 days and will end after 23:59 UTC on Monday 1 April. I will announce the winners after the end of the voting period. Voters do not have to have participated in the challenge; any forum member can vote. To cast your vote, simply make a post saying whose entry you're voting for (i.e. mention the person's username). You may vote for up to three entries. Challenge participants may not vote for themselves. Challenge participants may abstain from voting if they want to (you don't have to vote). When the galaxy is announced, I will also post a test planet in that galaxy. Before hunting for your terra you should go to that planet and make sure that it is the same planet that I've posted. 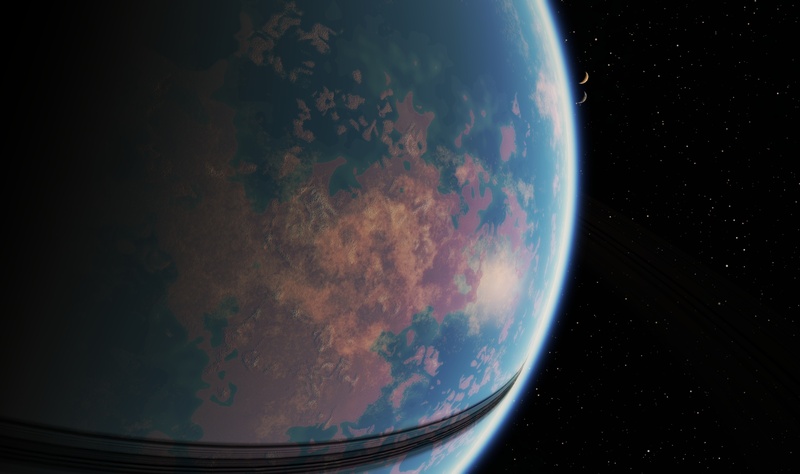 If it is not, then you might have modified your SpaceEngine galaxy models from their original state. In that case, you might want to install a separate 0.9.6.2 for doing challenges with (you can skip the planet textures and spacecraft models to keep it small). If this challenge does not go well and there is no reason to do others, then the winner of this challenge will still get a note in their rep about having won. If this does turn into a successful series, I hope it will inspire other members to run similar challenges A few different members each running their own series of challenges would really liven up the forum, and the ensuing awards would make for great decoration! This is an excellent and well planned-out challenge. I can't wait to see what people find! Will the chosen galaxy be a procedural one? (I guess it doesn't make much difference, but I think it should be anyway). Will the chosen galaxy be a procedural one? I was planning on it being a catalog galaxy, for a variety of reasons. People with lower spec PC's who might suffer having procedural galaxies enabled can participate more easily, and I think that a catalog galaxy might have fewer compatibility/consistency problems if someone has a non-vanilla version (I'm not sure though). I want to choose the best possible locations for the largest number of people. 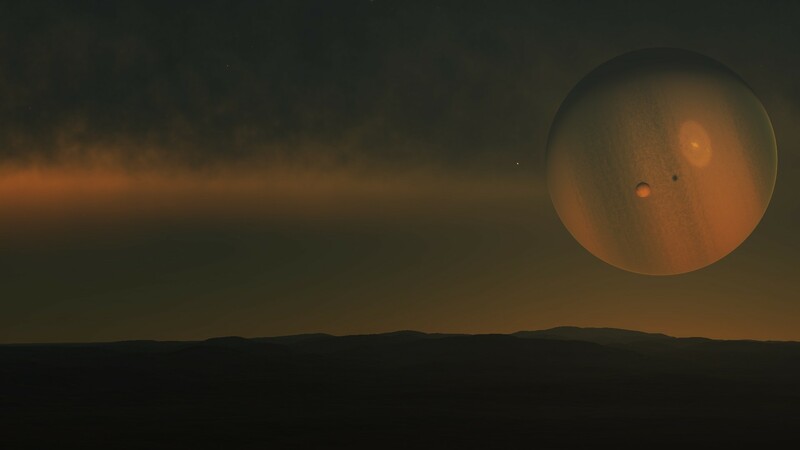 I'll try to do some testing, the procedural galaxies would be better challenge candidates. EDIT: I just ran some tests, and it seems that my fully custom version of 0.96 and my vanilla version of 0.96 agreed with each other about everything So procedural galaxies can be used and nobody should have to worry too much about a messed up universe seed. I'll adjust the caveat in the OP to make it not seem like such a concern. ooo, This sounds like fun! Alright everyone, the challenge is now active! Go out and find some terras! 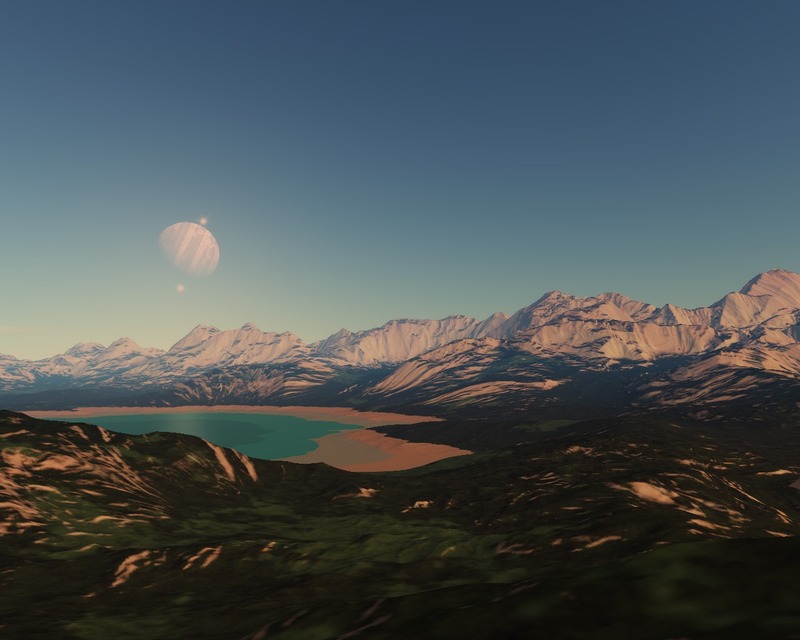 EDIT: oops, apparently my custom install and my vanilla install don't agree about the planets in this galaxy I'm generating a new test planet now. EDIT 2: I have changed the galaxy for compatibility reasons; it is now NGC 4245. 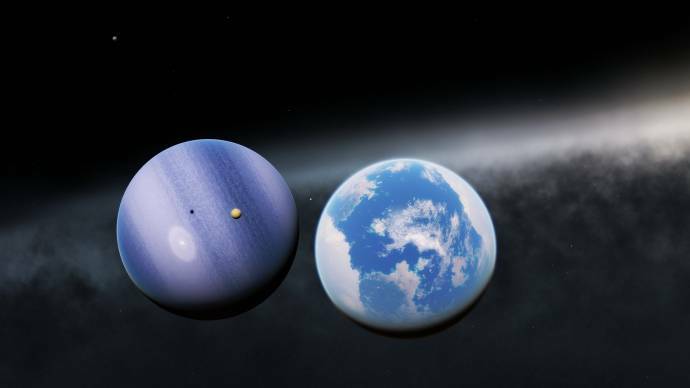 Also, I just realized that the test planet is a binary terra-ice giant, quite an extraordinary find! Buster89, please read the rules. You may attach two screenshots. Select the two you want and remove the rest (or repost them in another relevant thread if you still want to share them). Excellent idea Harbringer! The future ideas for awards and more similar challenges is great. I spent a while and found my pick. Place	"Awesome Terra Moon with 3 Stars With Terra Planet"
This Terra Moon has 3 stars and it's Planet is also a Terra both have life. This is actually the first planet I found in my search, and it was love on first sight. 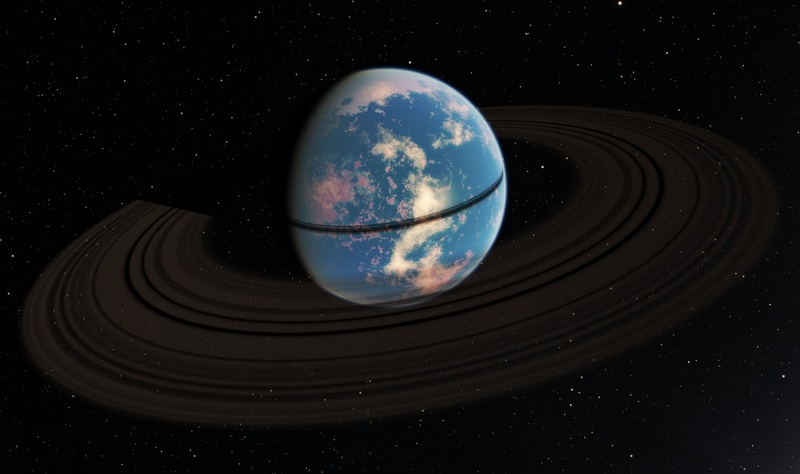 I call it Aegimm Dismentryne -- "living jewel which circles a vaporous giant". Its surface conditions are suitable for humans. 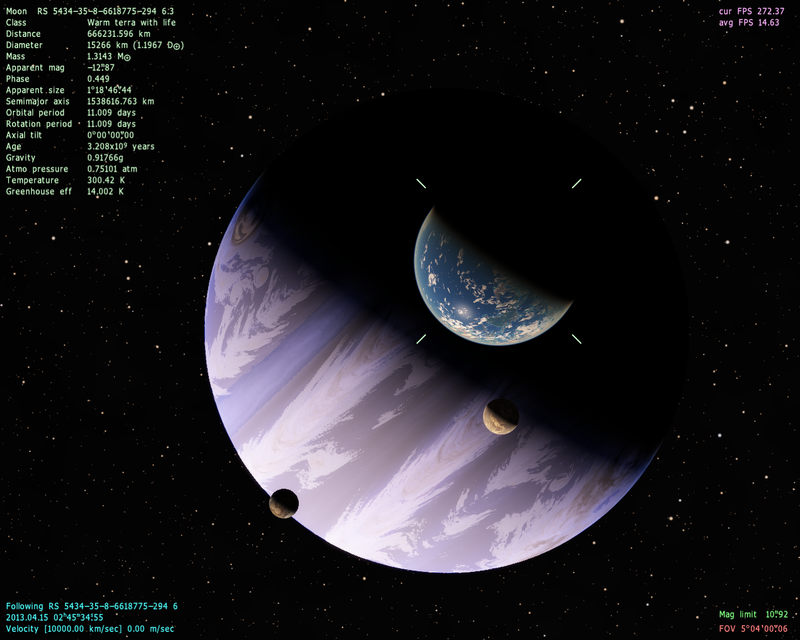 Place	"Terra Challenge - Aegimm Dismentryne"
For an example of what qualifies, see the test planet in the OP. A binary terra/ice giant is certainly an extraordinary find! I can't give you precise criteria and it is quite subjective since I am the sole judge of what is and is not extraordinary in this case, but put simply, it should be something both awesome and rare.